Fathers are a unique and often overlooked demographic when marketing decisions are made. 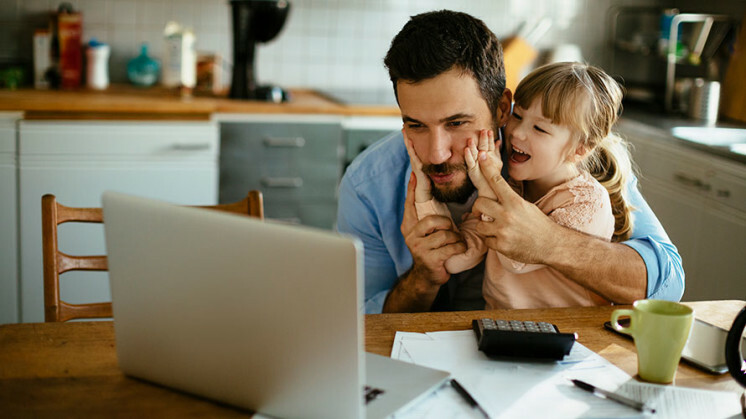 A recent study conducted by MDG Advertising revealed fatherhood has a huge impact on brand engagement, yet many advertisers remain in the dark about this untapped market. We know dads are tired of being pigeonholed as bumbling or overly macho, but how can advertisers reframe not only how they portray dads, but also how marketers communicate with them? “It’s clear that when a man becomes a father, he experiences a shift in what’s important to him, which shifts the context of his decision making,” said Anthony Del Gigante, director of brand at MDG. New dads, for instance, tend to make brand changes they perceive as “more responsible,” like switching to healthier foods or more environmentally friendly cleaning products. In the study, 41 percent of dads said they switched brands upon becoming a parent. “This opens a huge opportunity for brands to understand and speak to this shift,” Del Gigante said. There’s a longstanding notion that women are the “gatekeepers” of decisions around the house, said Ruth Bernstein, co-founder and CEO of Yard NYC, adding that’s an outdated perception that needs to be updated. Women are not necessarily the primary or final decision makers — 72 percent of respondents said fathers have shopping responsibilities for the home. There are a plethora of content marketing opportunities for new dads in particular, according to Dave Surgan, group strategy director of content and partnerships at R/GA. With a newborn, every week is a new phase and brings with it new things to think about, from formula selection to baby-proofing, and there’s a “whole world of educational material” out there available to dads, he said. The study by MDG revealed 80 percent of dads use YouTube to research parenting topics, from assembling products, to which foods are healthiest and how kids learn. However, the root of the mindset shift that takes place when a man becomes a father goes deeper than that transition, and marketers must take into account the intersectional complexities of a father’s identity. According to Joanne McKinney, CEO of Burns Group, who has conducted studies around behavioral science and gender, men and women simply think differently and therefore need to be marketed to differently, though the arena of parenting may be one area where they actually share more similarities than differences. McKinney emphasized the importance of striking a balance between targeting the father as “parent,” but also as a man. For instance, when women’s roles expand, they tend to be “additive,” explained McKinney. They try to be everything to everyone, while men tend to compartmentalize and switch off between roles. This distinction is an important consideration for marketers in targeting new dads. Additionally, while parents share many emotions around parenting, a facet that is enhanced by the shared responsibility for their unique child, the research shows women are better at receiving emotional cues, while men need more prompting. “In an ad, you need to tell men ‘Okay, this is when you cry,’” said McKinney. To some extent, marketing to fathers comes down to understanding the differences between men and women, McKinney said.